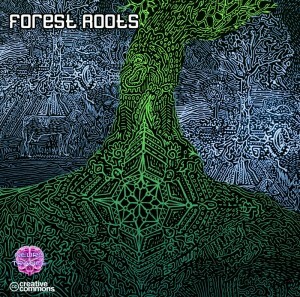 Forest Roots is a fresh collection of dark psychedelic trance from Neurotrance Records, Bolivia. A diverse range of artists have contributed elevent highly energetic, acidic, and nocturnal tracks to move the night-time dance floor. Take a step back and let yourself go to the Neurotrance vision of forest music! Compiled and mastered by Erofex with artwork by Antonism. MP3 Download | FLAC Download | WAV Download · Download count: 8,925. Yes, I’m totally agree with Manu…especially for the forest-style! Not my cup of aesthetic, but my spider senses are tingling high. Of the whole album, Psykobeatz’ Psyjungle the only good track, imo.